American flag purple custom lens Imprinted sunglasses make for one brilliant eyewear choice for fashionistas and patriots who wish to wear their feelings on eyes. This custom lens sunglasses imprinted with American flag makes one sensible gifting choice during days of national importance. This flag imprinted sunglass can be gifted out during promotional events or during parties depending on your choice. It can be handed out to customers or peers on any special occasion, where you need some relationships need a special boost. 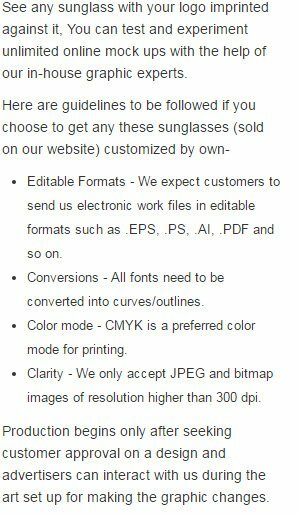 You can avail benefits of discounts on bulk orders of these purple custom lens sunglasses. Highlights – 4 -Color process highlight. American flag imprints. Purple sunglass frames.